Every new Horse Full Neck Sweat offered by Horse Tack Now is professionally made and goes through a stringent quality control team that makes sure you only receive the greatest quality product. Buy discount equestrian products at low discount prices. Browse our massive selection of horse tack equipment. 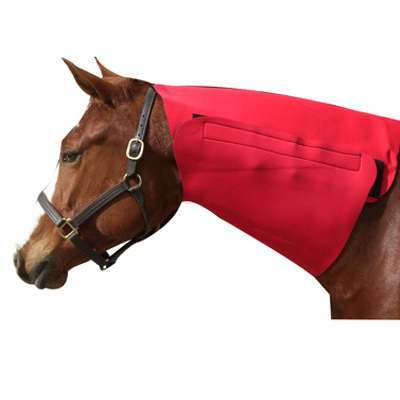 This useful horse neck sweat is constructed of closed cell rubber neoprene for maximum efficiency and features an outer nylon shell. 1/8'' Thick. Velcro closure.